Woman in Black is one of the West End's longest running shows. 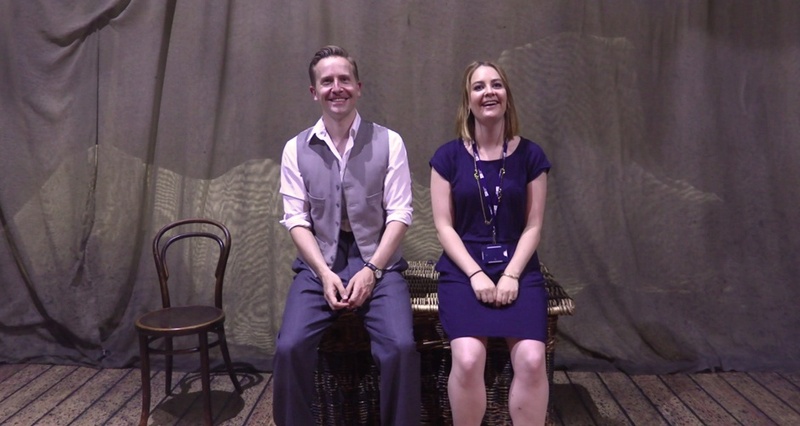 Brilliantly simple in its storytelling and staging - it still manages to terrify audiences 25 years on... ATG's very own Lucy Perrins caught up with her old university mate and lead in Woman in Black, Matt Conor, to talk Halloween and spooky goings on. Lucy: Matt, do you believe in ghosts? Matt: I don't not believe in ghosts, I've never seen a ghost. I think there's weird stuff that goes on that we can't yet explain but I don't know if that's because it's a ghost or whether it's something scientific. I don't know, I've never seen one but I'd like to see one. Lucy: So, has anything scary happened to you while you've been working? Matt: Not supernatural; there was one show when we were on tour where I thought there was somebody standing behind me and there wasn't. I don't know what that was. But the scariest thing I think that has happened to me was a few weeks ago, there's quite a major bit in the show with a torch, and the torch didn't work. So I suddenly had to (in the dark), find the other torch that we have spare on the stage. That was quite scary, but certainly nothing supernatural has happened to me yet. Lucy: The Woman in Black has been running in the West End since 1989, what, in your opinion, is the show's long lasting appeal? Matt: I think it's a combination of many different things actually. I think first and foremost it's a brilliant script, and the story's amazing. So the combination of both Susan Hills and Stephen Mallatratt's writing, is just brilliant. Stephen's done an amazing job of adapting Susan's novel. And then we've got brilliant direction by Robin Herford. Robin has directed every single cast for the past 27 years. It's always fresh and exciting whoever you've got in the show. And there's brilliant lighting, and sound also. But the key thing I think is the imagination of the audience. That's the secret ingredient and I think because people scare themselves so much when they come and see the show, they want to come back and see it again and again. Lucy: When did you decide that you wanted to be a performer, and was there a particular performance which inspired you to do so? Matt: I think it was a gradual thing actually, from sort of GCSE age through A Levels then on to university. It was sort of during that period that I thought: "Oh yeah, I'd quite like to do this for a living". Weirdly, I think the performance that inspired me the most was when I went to see The Woman in Black. I was a student and I went to see it and I just thought it was the most amazing piece of theatre I'd ever seen, and I thought; "Oh wow I want to do that!". So I have a lot to thank this show for and to be honest I can't believe that I'm in it. It really is a dream job. Lucy: What advice would you give people about the importance of training and how to get the most out of it? Matt: I think training is important. I know actors that didn't train and they just sort of learnt on the job and that's fine. The great thing about training I think is for most people, is that it's the first time that you get to do what you want to do every single day. 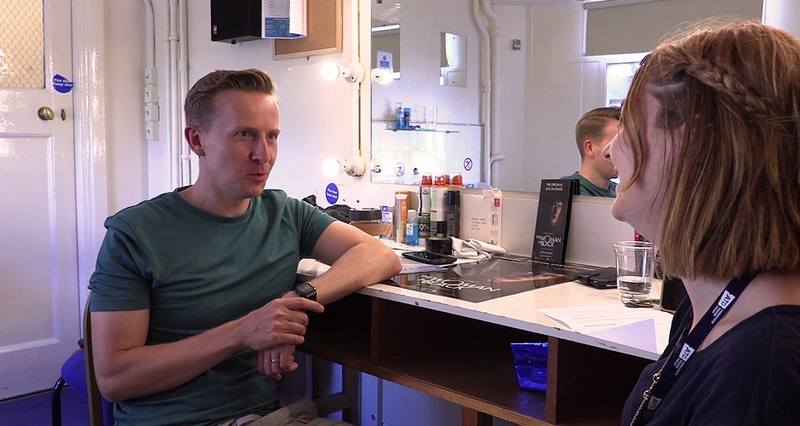 Most people go to drama school from doing their A Levels where they've had to do other subjects as well, and then, for the first time, they're just doing acting every single day. And I think to get the most out of it you just have to be open to suggestion, and to be honest, and you know, listen to the tutors. In the main you should have a good time and enjoy it. Lucy: And would you give any advice for people who are looking to follow in your footsteps as a performer? Matt: It's important to be open and honest and I'd say don't be afraid of making bold choices in your work. If you do that you'll know if you've made the wrong choice. And I would say, when it comes to auditions, just never be afraid of the people who are sitting the other side of the table because they want you to be brilliant. So there's no point in getting scared about those things. Lucy: What has been your career highlight? 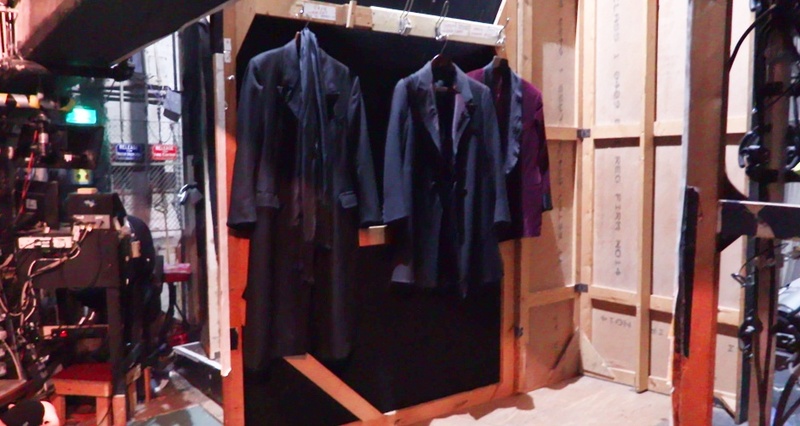 Matt: [laughter] The Woman in Black in the West End. Yeah, that's an easy question to answer. It's definitely The Woman in Black. Lucy: What's scarier: the book, the film or the play? Matt: The play. Easily the play, easily. I think because it's live whereas the film is scary but it's on the cinema screen, in the theatre the action is taking place all around you and it's much more immersive. Lucy: And finally, will you be celebrating Halloween, and what was your best ever Halloween costume? Matt: I do like Halloween, I must admit. My best Halloween costume was probably a classic 1980s number where I dressed up as a vampire with fake fangs and a bin bag over my head. But we are actually doing a show on Halloween this year. It's the only Monday night that we do and so this year I'll be dressed as Arthur Kipps from The Woman in Black.